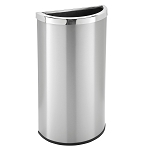 Keep your conference room looking clean and professional with sleek, executive trash cans that match your office décor. 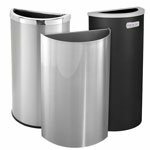 From sleek metal finishes to colorful designs, choose from our large selection of conference room trash cans to match your company's style and brand. 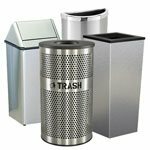 Our conference room trashcan collection was carefully assembled by our crack team of trashcan experts here at TCW World Headquarters in beautiful Brattleboro, Vermont. 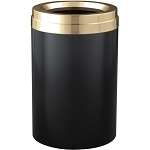 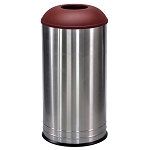 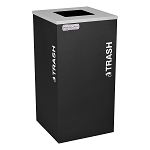 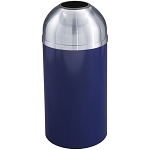 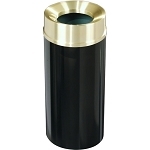 Our goal is to offer a wide variety of elegant and economical waste bin solutions for your conference area. 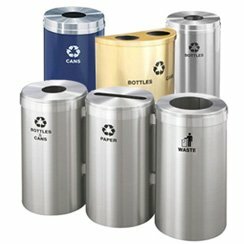 In an important space where executives and staff meet and greet, you want to have clean, attractive and functional garbage bins. 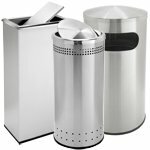 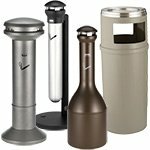 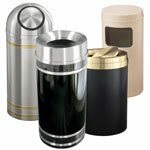 This grouping includes waste containers in stainless steel, powder-coated painted steel and plastic. 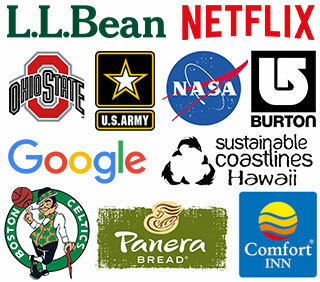 From the more casual settings such as technology firms and start-ups to high-end offices of lawyers, investment bankers and Fortune 100 companies, You'll find a choice that suits your style and setting perfectly. 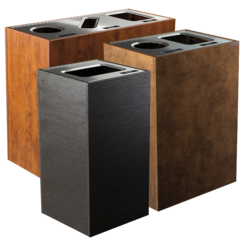 Our collection of Satin Aluminum, Satin Brass and Custom Color waste and recycling stations look fantastic in architect designed conference spaces that feature glass, steel, fine woodworking including mahogany and seating of black and brown leather for example. 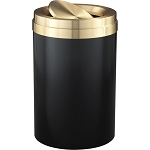 Modern interiors are complemented by containers such as the 41-gallon WasteMaster value receptacle with a tip action lid and the Allure Stainless Steel container which has a front opening for ease of use and is easy for janitors to empty, maintain and keep sparkling. 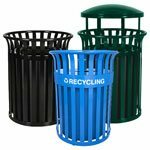 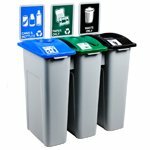 If youâ€™re company is looking for a solid and sturdy but colorful all-in-one trash barrel with sustainability features, the powder-coated steel construction found on our XL Glaro Multi-color Triple Waste and Recycling Stations are a suitable option. 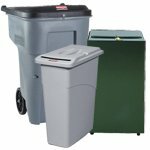 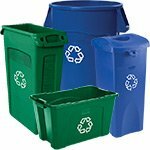 An exciting new addition to the Trashcans Warehouse family of garbage containers are the Spectrum collection of single, double and triple waste and recycle bins. 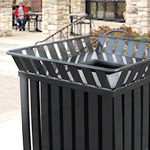 Available in custom configurations each bin is constructed of durable steel. 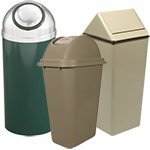 The bins have a lightweight lid, which makes it easy for maintenance staff to lift-out refuse. 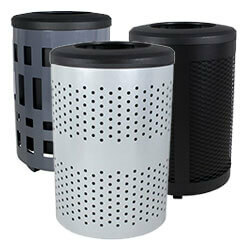 Inside the bins is a rigid plastic liner to keep the interior clean and sanitary. 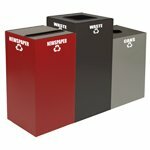 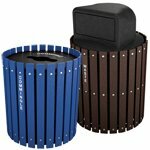 The Spectrum Series of bins can be configured as multicolor stations or in a single color scheme. 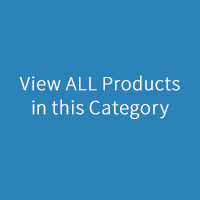 Choose the opening for each container using the drop-down options on the product pages. 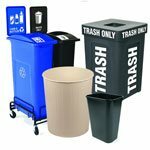 Iconographic decals are stylish and easy to read. 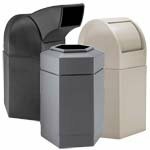 The capacity specifications for the Spectrum pails start at 24 gallon sized units and up as you add more cans to your grouping. 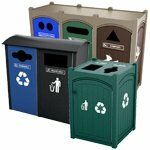 Stock colors include white, black, gray, green, dark green, blue, purple and red. 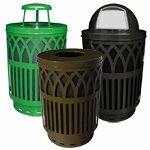 Please give us a call if you need custom colors to match your decor - we can help! 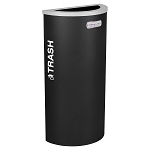 Conference Room trash cans are a subcategory of our Indoor Waste collection. 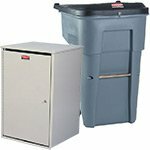 The bins in this arrangement are specifically intended for indoor use. 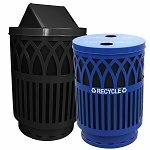 A perennial favorite, the GeoCube 2-stream recycling and waste station is value priced while providing a snazzy-looking alternative to rubber and plastic bins. 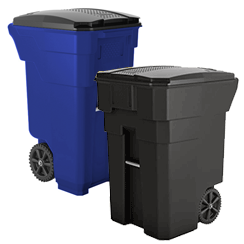 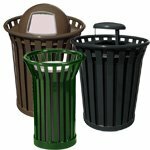 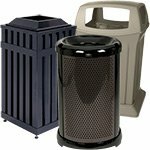 Also constructed of tough steel, Geo bins encourage environmentally responsible waste disposal with their clear labeling and various sizes. 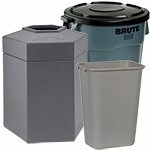 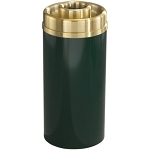 The square shape of these convenient canisters is space efficient. 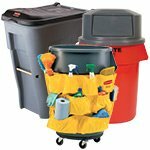 Mix-and-match bins of various heights to create unique, colorful combinations. 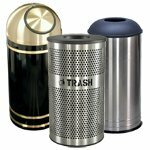 The beautiful surface of GeoCube containers belies the strength and utility of these compact and future-proof fire-safe steel construction. 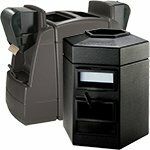 Inside each cube youâ€™ll find a bag holder which makes servicing the units simple and fast. 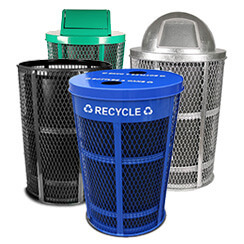 Lids come with one of the following decals; round openings indicate â€œcans & bottlesâ€, slot shape for â€œpaperâ€ and â€œrecycleâ€ labeling. 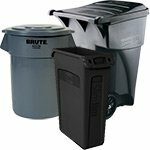 Choose from waste or recycle labels with a square opening and a â€œcombo opening is also a â€œrecycleâ€ option. 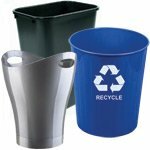 Additionally, â€œplasticâ€ and â€œglassâ€ labeling can be ordered. 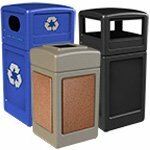 GeoCube containers are one of our best-selling items and are proudly Made in America using recycled materials. 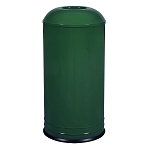 Please note that container capacities are as follows: 24-, 28-, 32- and 36-gallons. 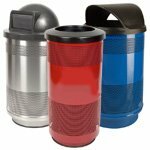 Colors include charcoal, blue, sleet and scarlet red. 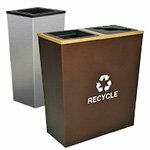 Simple Sort multistream recycling stations are the perfect choice for a more casual conference room environment. 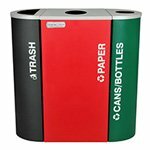 A wide range of colors and labeling choices means you can match your office interiors while providing your employees with a great way to participate in sustainability programs. 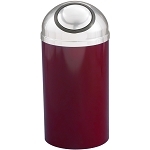 Similar models such as Waste Watcher cans, have flexible vent openings and an increased capacity, especially in the extra-large sizes. 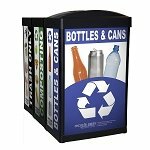 Sign frames are available for graphics to designate waste stream. 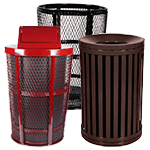 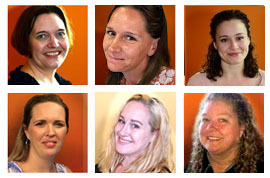 Custom graphics can also be utilized. 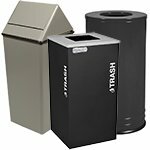 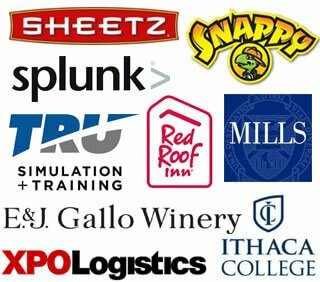 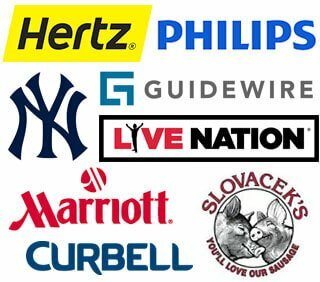 Let our Trashcans Warehouse in-house graphic artist help you build proprietary signage to personalize and brand your bins with logos and corporate colors. 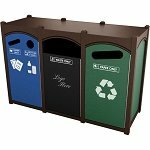 Convenient hardware is available to secure multiple containers together creating a sturdy multi-purpose recycling station. 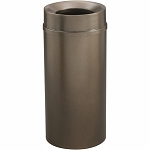 Built with handles for easy gripping and emptying, your janitorial staff will thank you for making their lives easier! 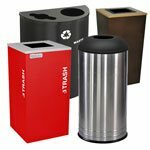 Some of our classic designs, such as the 15-gallon Half-Moon waste receptacle, the Rectangular Swivel Lid waste receptacle and the Imprinted 360 Swivel Lid waste receptacle look great not only in conference rooms but anywhere in an office environment. 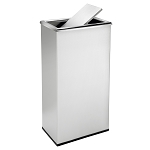 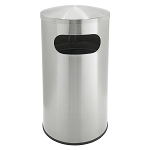 The New Yorker collection of shiny aluminum trash cans are popular with corporate headquarters in New York City and Los Angeles. 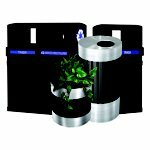 An undiscovered gem in our catalog of conference room cans is the Echelon large capacity single and multiple waste stream barrels. 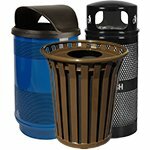 Echelons come in a unique half-hexagon shape with lids such as commingle trash and mixed recycling. 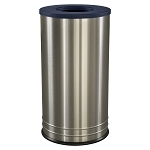 The indoor satin stainless steel with black trim creates a commanding presence when placed in conference environments. 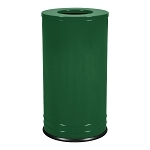 Rigid plastic liners miners make servicing simple. 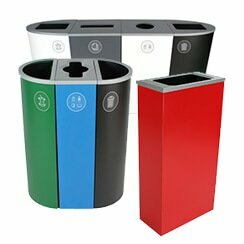 Silk screened graphics designate waste streams for users. 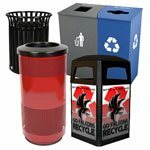 The included graphics kit features labels designating cans/bottles, compost, landfill, paper, plastic, recyclables and trash. 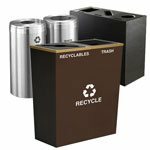 Echelons containers are a great choice for high-end meeting rooms and conference areas where larger capacity containers are required. 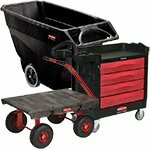 The all-in-one design makes one stop servicing a snap.